World leader in e-mobility supplies fast chargers for groundbreaking driverless electric bus scheme. ABB is again underlining its leading role in sustainable global transport solutions with a new project together with Volvo Buses, this time for Nanyang Technological University (NTU) in Singapore: ABB will provide its state-of-the-art Heavy Vehicle Chargers (HVC) 300P for the forthcoming project to deliver two autonomous driving electric buses for the island by the beginning of 2019. The system will charge two all-electric 12-meter Volvo 7900 Electric buses and Volvo and NTU will build the autonomous driving solution on Volvo’s platform. This is Volvo’s first autonomous application in public transportation, following success in autonomous technology in mining, quarry and refuse collection operations. 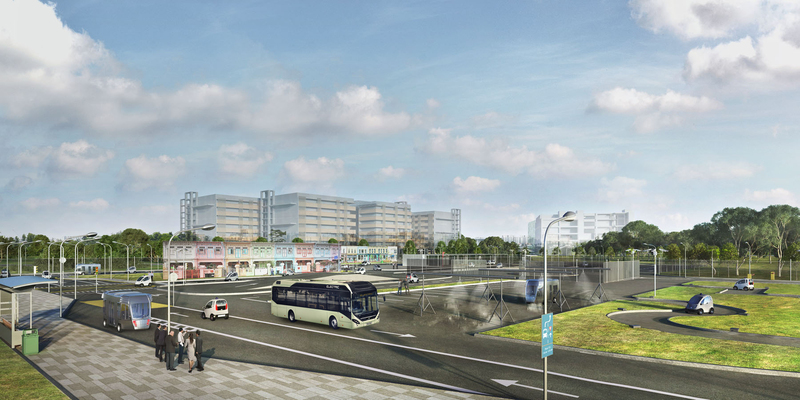 One of the autonomous electric buses will be used at the Centre of Excellence for Testing and Research of Autonomous Vehicles (CETRAN) – Singapore’s advanced new test facility – where researchers will test new functions and study how the bus interacts with other road-users. The second bus will be used for tests in the bus depot, in partnership with SMRT. The aim of the project is to enable tomorrow’s autonomous buses to charge their batteries, drive to the vehicle wash and park – entirely autonomously. Nanyang Technological University estimates that electric vehicles could make up as much as 50 percent of Singapore&apos;s motor population by 2050 and we are proud to be helping make this vision become a reality. ABB is due to deliver the first of two HVC 300P fast chargers towards the end of 2018, when the cooperative venture between Volvo Buses and NTU gets underway. The autonomous electric buses will be delivered in early 2019. So far ABB has sold more than 6,000 cloud connected DC fast-chargers around the world for passenger cars and commercial vehicles. ABB has now also teamed up with Formula E – the world’s first fully electric international FIA motorsport series as part of its continuous drive to promote sustainable mobility.